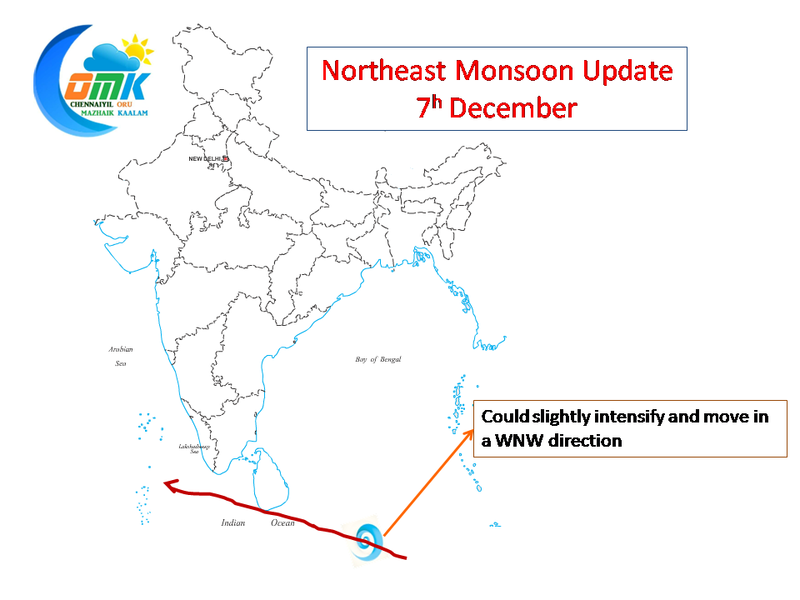 The Easterlies are slowly picking up in the Bay of Bengal. 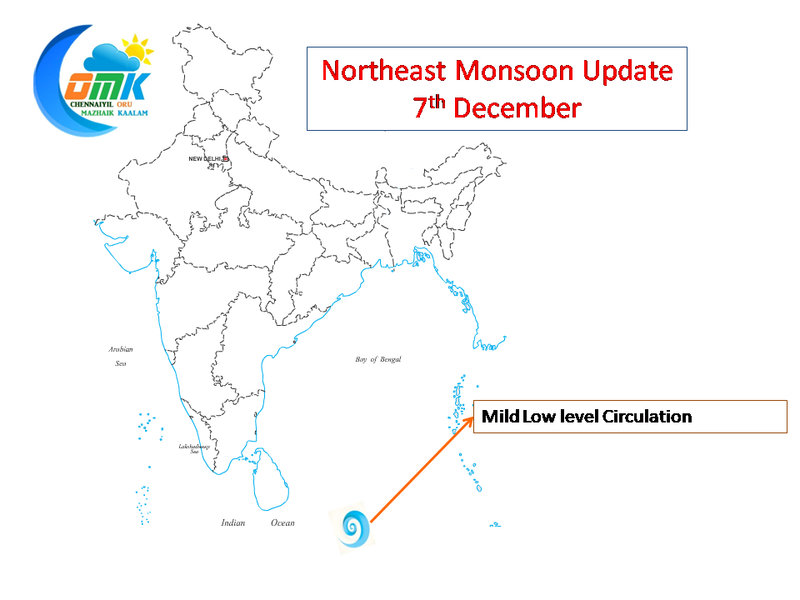 IMD has confirmed the existence of a Low Pressure Trough in the South West Bay as well. 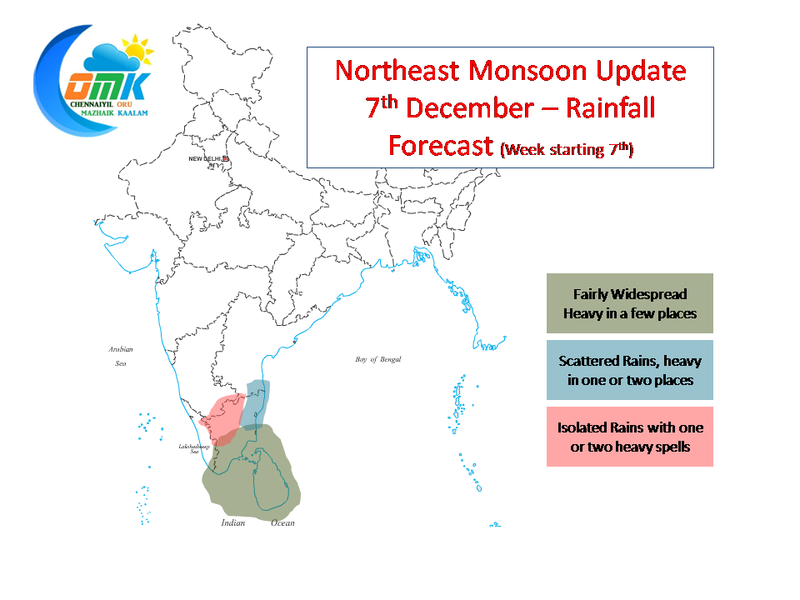 As mentioned a couple of days in this blog, these two would slowly revive the rains for Tamil Nadu in the days to come. The Mild Low level circulation is unlikely to become any big system. The area around the low is currently in a moderate shear zone though little movement to the North could bring it to a low shear zone. Considering the steering winds prevailing it looks very unlikely that the Low would move in a Northward direction. It would move more in a WNW direction. 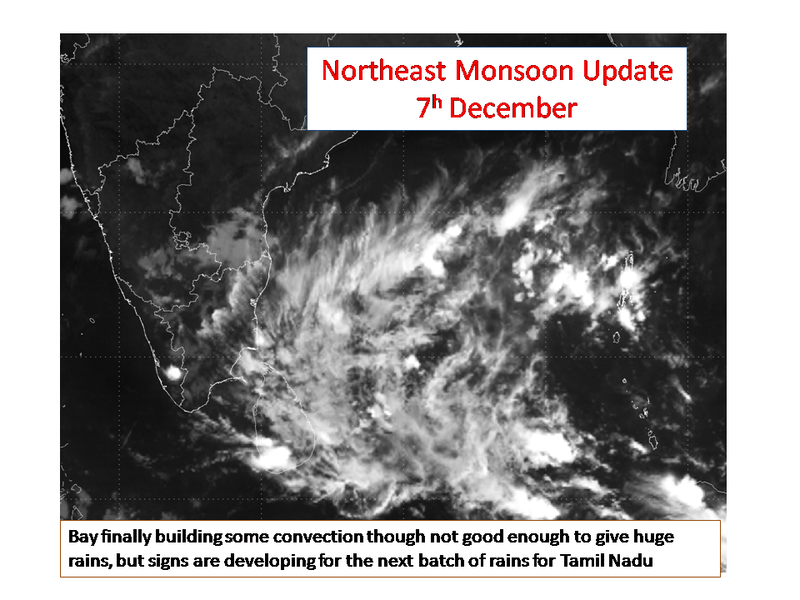 In the days to come once it moves past the Sri Lankan landmass we should look for signs of development which could once again play a crucial rain the rains prospects for Tamil Nadu. While the Easterlies have picked up,it is not yet strong enough to bring rains yet. The bay is slowly showing convection in the next couple of days it would improve as the Low in combination with the Easterlies will improve the situation. The easterlies are also expected to pick up strength around Tuesday adding more power to the equation.